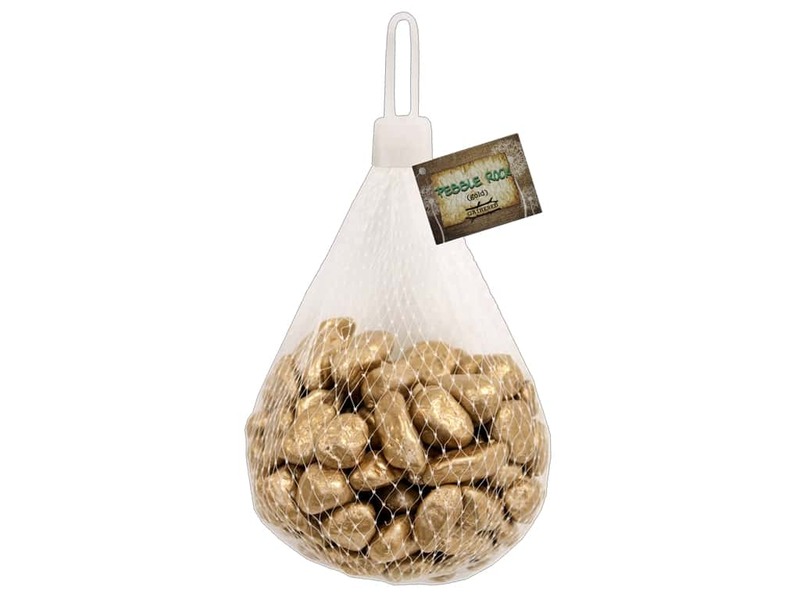 Description: BCI Crafts River Rock Gold- Rock pebbles have been collected, cleaned, and made ready for your next project. These rocks are painted metallic gold. These perfectly sized pebbles make beautiful filler for vases, side table dishes and more.